According to researchers, the secrets of our solar system could be answered by looking at the Icy continent of Antarctica. 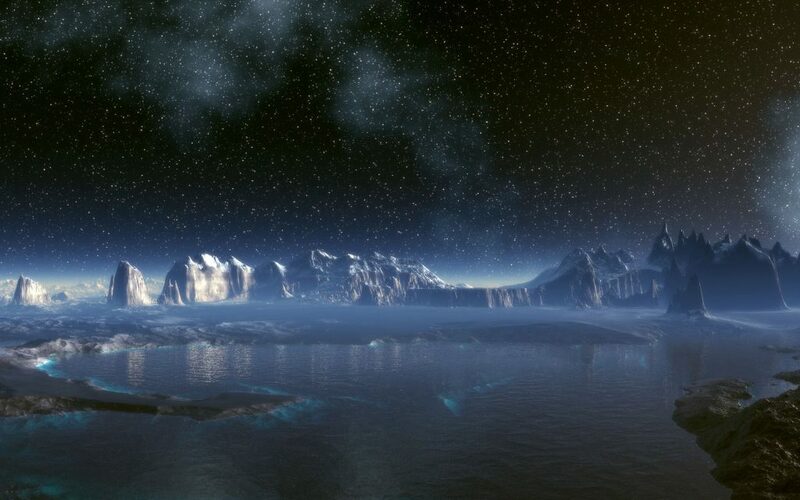 The Secrets of the solar system could be hidden in Antarctica. Researchers have discovered extremely well-preserved asteroids hiding under just 10 centimeters of ice. Scientists believe that due to the heating of the Sun, space rocks might have melted the ice and sank. Hundreds of iron-rich meteorites which are believed to hold the ultimate answer to the secret of our solar system have been located beneath the surface of Antarctica’s ice sheet. Scientists state that the enigmatic space rocks are located between 10 and 15 centimeters below the surface, saying that iron-rich meteorites are ‘tantalizingly close’. The study published by researchers from the University of Manchester in Nature Communications last week, states that the vast majority of space rocks are located between 10 and 50 centimeters from the surface, which would allow researchers to get to them without much hassle. Meteorites fall all over the planet but most of them are collected in Antarctica due to color contrast, between the white color of the ice and black color of meteorites makes them much easier to spot. Dr. Geoff Evatt and his team suggest that meteorites are missing because of the Sun’s rays penetrating the clear ice and warming iron-rich space rocks more than those which are not made of metals. Dr. Evatt states that Such warming melts the ice surrounding them, causing it to sink and offset all annual ice ‘upwelling’ – which permanently traps the meteorites just below the surface. The important characteristics of these meteorites are that they invariably originated from deep inside larger planetary bodies which eventually broke apart in the distant past of the history of our solar system. This is why finding, retrieving and analyzing them, might help scientists understand more about where they come from and when they were formed. Dr. Evatt said: “With the strong possibility that a hidden reserve of meteorites lies just below the ice surface of localized areas of Antarctica, finding conclusive evidence of its existence is imperative to our understanding of the solar system’s formation. The team of scientists was able to combine laboratory experiments with mathematical bodies to demonstrate that typical hawing and freezing processes will cancel out the upward transportation of meteorites with high thermal conductivity – such as those containing iron, allowing those with lower conductivities to emerge from the ice.